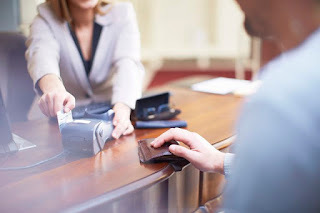 Home » Credit » Credit card » Are You Using Your Credit Cards in the Right Way? Are You Using Your Credit Cards in the Right Way? Credit cards pose a risk to you if you are not using them in the right kind of way. It’s not enough to just carry on spending as you ordinarily would without a card. They are specific financial tools, and you have to use them in the right way. To learn more about credit cards and how you should be using yours, read on now. The one golden rule of using credit cards is that you should aim to never max it out. When this happens, you run the risk of going over your credit limit. On top of that, your credit score will certainly be damaged, and lenders never look at that favourably. All in all, all of the good things about using a credit card could eventually be destroyed if you manage to max it out, so it’s just not worth it. Choosing the card that’s right for you is not easy. After all, there are a lot of them out there, and it’s important to make sure that you know your options. Sites like reviews.creditcard can help you to make your choice. Read as many reviews as you can and look at all of the details before deciding which of the options is the right one for you and your specific financial situation right now. Staying in control of your credit card usage is always going to be important. If you can’t even stay in control of yourself, how are you going to keep your finances balanced properly? Know when you’re at your limit and how far is too far for you. You need to be able to pay off your credit card debt at the end of the month because there are plenty of problems that will arise if you don’t do that. Having self-discipline will make your life so much easier. There are so many ways in which fraudsters can target you. And being aware of the dangers out there can help you to stay safe. With the rise in contactless payment methods, your card is at greater risk than ever before. People could scam your pocket with the right machine and get payment from you without you knowing. This is one of the many techniques on the rise right now, and you need to be alert to them all. Learn about the contactless fraud problems at moneysavingexpert.com/news/. These days, most banks have apps and online banking options that customers like you can make use of. The same applies to your credit cards. You should be sure to track your activity correctly online. If you can manage to do that, you will be able to ensure that you’re able to see what’s happening with your credit card and how it’s being used and charged. This can help you to spot any problems and take necessary action. Using your credit cards in a safe and sensible way is vital if you want your finances to be healthy going forward.